A nesting place for the bird! I first designed this open-concept bird a couple of years ago, and more recently I created a version of the bird. At the time it sat without a place to call home. It bothered me that the story was incomplete. 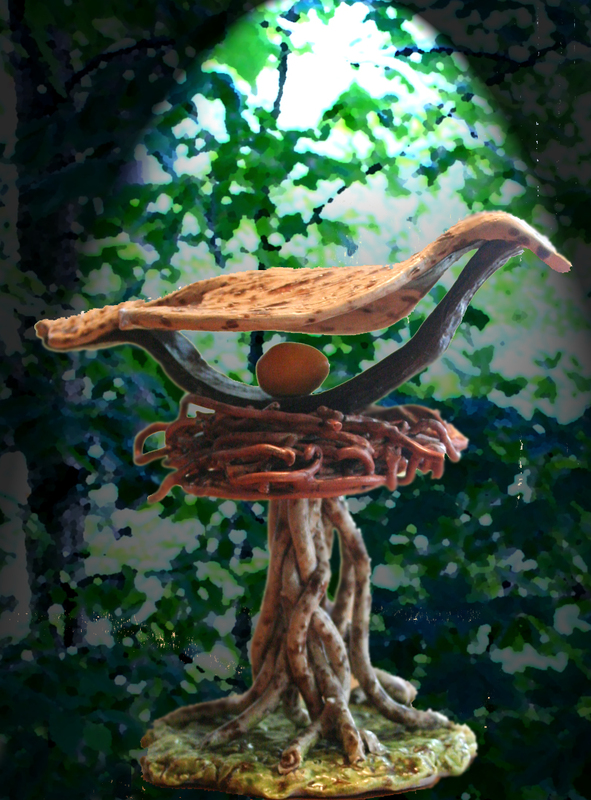 After considerable thought and musing over the bird’s plight I decide that a nest, an egg and a vine-like tree support would create an interesting piece and allow people to create their own story about the bird and it’s nesting place. I call it, quite simply, Nesting. Previous Previous post: Butter Tarts are the BEST! Next Next post: Total Fire Ban – but who knows about it?